The Addict Black College Jacket is a college styled jacket, combining comfort, style and performance. Features include the pop button outer with the inner zip and the split hooded zip detail, outstanding streetwear as always by Addict. 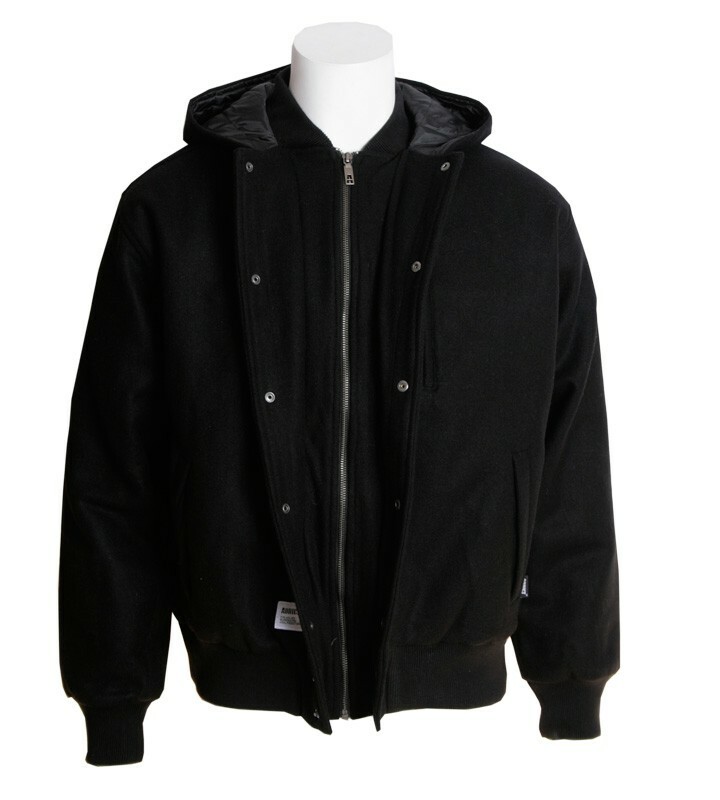 The Outer Jacket is made out of 76% Woo,l 12% Polyester and 5% Nylon. Inner Jacket is from 100% Polyester. Only Dry Cleaning goes for the Addict Black College Jacket.